Mr. Greenfield is the CEO of Bechtler Greenfield Surveying, LLC, overseeing the day to day operations and client service to clients such as Wal-Mart, Murphy Oil USA, and Texas Roadhouse as well as other commercial developers. With over 30 years of experience, he has worked in all disciplines of Land Surveying, including residential subdivisions, topographic surveys, engineering support surveys, ALTA/NSPS Land Title surveys as well as commercial endeavors. He has a clear understanding of client's needs and delivering projects on-time. Mr. Greenfield’s leadership helps create effective and consistent project delivery approaches punctuated by consistency, quality and responsiveness. Mr. Greenfield is licensed in Alabama and Mississippi . Robbie has over 15 years of Surveying experience both in the field and office. Robbie has a valuable perspective on client services and client needs, and has a tireless attention to detail. While working at BG Surveying he has met and exceeded our client's expectations. 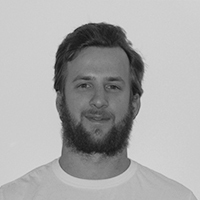 Aaron has 5 years of experience as our Survey Technician / Party Chief. As a student at Kennesaw State University , he is working on his surveying and mapping degree. Aaron's technical knowledge of land surveying make him a valuable contributor to BG Surveying's commitment to quality Customer Service.